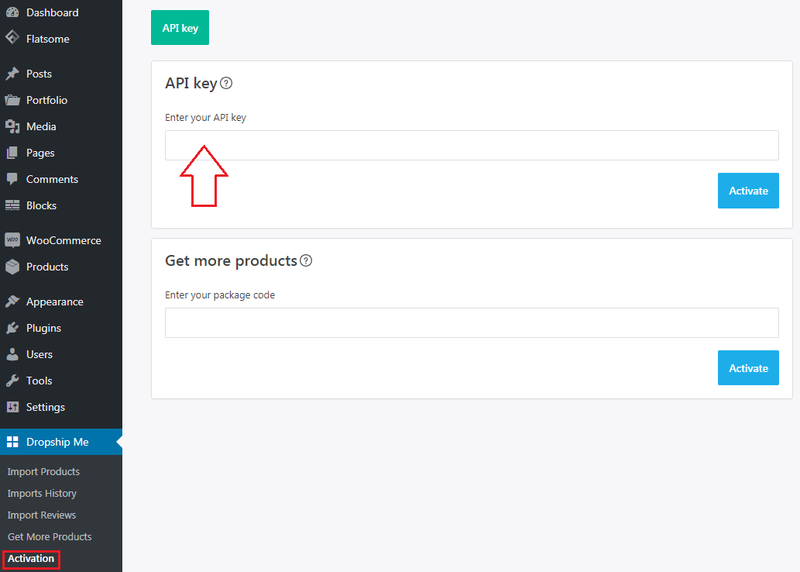 Go to DropshipMe > Activation and enter your API key. Once it is activated you will get full access to the plugin and can start importing products right away. Note that all changes of your URL (switching from HTTP to HTTPS, etc.) should be made before API activation! It is impossible to transfer your API key from one domain name to another. Your API key can be activated only once and used only on one domain. Each API key allows you to add 50 products for free on your domain. If you activate another API key on the same domain, no more free product imports will be given. Please avoid using such free third-level domain names as sitename.easywp.com, sitename.wpengine.com, sitename.epizy.com, etc. As a rule, such domains are already used by some other people, so all their subdomains won't activate a free package.